The second Abyss & Apex story from their archives is “Zeno’s Last Paradox” from 2005, which is one of my earliest stories. Conceived originally as a play, this remains one I would love to have a podcast version or a stage adaptation. 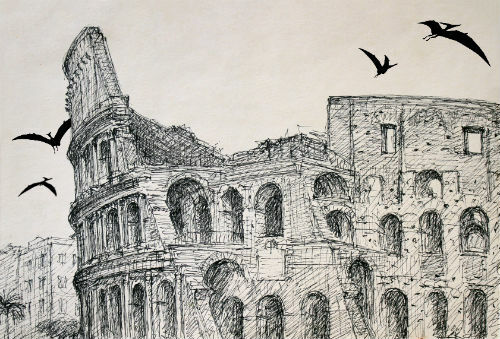 My new story, “A Complication on a Triassic Expedition Through Rome“, is up at AE!